It’s the start of a new year and you want to get your garden ready for the new season, when the veg plot is put into action to grow family favourites like beans, brassicas, onions and carrots and, of course, potatoes. Let’s look at some ways to guarantee gardening success over the year to come and I’ll share my top tips for keeping your hands looking young during all these hands-on jobs! When working the land, it’s best to keep your hands youthful as well as useful. The best way to do this is by wearing protective gloves and to find the right gloves for the job at hand. 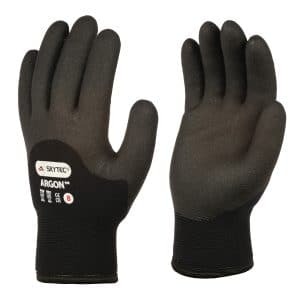 As a gardener, you will likely need more than one pair, so get yourself: a pair to keep your hands toasty warm during winter, a pair that delivers for general use and another pair for sensitive, intricate work. This tactility is really important for delicate work in the garden but you’ll need thermal protection during colder seasons, so it’s best to be prepared for each scenario. The SHOWA and Skytec range of gloves strike that balance between comfort and capability. All round care is vital. For instance, thorny stems are obviously best avoided bare-handed, as they’ll scratch you, but some also have microscopic hairs can also irritate the skin. Carrots and parsnips have sap that may cause a blistering rash when it comes in contact with the skin in sunlight, so hand protection is beneficial for a multitude of tasks. Growing vegetables can be therapeutic and give just as much pleasure as flower gardening. With the proper protection in place, it’s time to get stuck in. As the time of year when vegetables are at their most expensive, with many varieties shipped-in from abroad, growing your own is a truly rewarding undertaking. Having a ready crop of fresh vegetables growing on your doorstep is not only convenient but they’ll taste better than any supermarket produce as you’ll be able to grow varieties that are recommended for best flavour. These are guaranteed to be tastier than those chosen by commercial growers who also have to prioritize for high yield, uniformity and ease of production. Growing vegetables can be therapeutic and give just as much pleasure as flower gardening. Empty beds can be dug over now to break up the soil and allow the frost in to do the rest. Digging over the soil also uncovers pests to hungry birds and wildlife, which will help to keep pest populations under control. A great benefit is that you’ll be able to give up using expensive chemical fertilizers or pesticides and grow your food organically. If you have grown vegetables in the same area of land in previous years then you should adopt a method of ‘crop rotation’. This is to ensure you don’t grow the same type of vegetable on the same area of ground for more than two years running, which will prevent the build-up of pests and diseases in the soil that can attack a particular group of vegetables. Start now by dividing your vacant plot into four equal-sized areas then divide the vegetables into four different groups. These can be cabbage family—a greedy crop that includes kohl rabbi, radish, swede and turnip. Other groupings include the onion family along with root vegetables and finally potatoes—along with their cousins such as peppers and tomatoes. Put the crops that don’t fall into any of these groups like sweetcorn, courgettes and lettuce wherever you can squeeze them in, bearing in mind that sweetcorn should be grown in blocks rather than rows. Each year move the crops around in a sequence so that potatoes always follow beans and roots and onions follow potatoes and this way the plants will benefit from growing in soil that has been enriched by the nitrogen-fixing bacteria found on bean roots, which remains in the soil longer than the nitrogen in synthetic fertilisers. Weed suppressing crops like potatoes can also be used to help clear a plot after hard-to-weed crops such as carrots and onions. If you want to grow permanent crops such as asparagus and rhubarb, allocate a separate are for these and keep them out of the rotation. My favourites to wear during winter at the veggie plot Skytec’s thermal gloves which remain durable and flexible down to temperatures as low as -50°C. When clearing an overgrown and weedy area ready to plant and sow for example, they will protect you from nettle stings and will prevent splinters, calluses or blisters when using tools to cultivate the soil. It’s amazing how quickly these can occur and how easily they can become infected if not kept clean and dry. Wearing thermal gloves will keep your hands warm and fingers mobile during cold weather and this is turn will prevent accidents. They give vital wet-grip control, which is useful when gardening in wet weather. 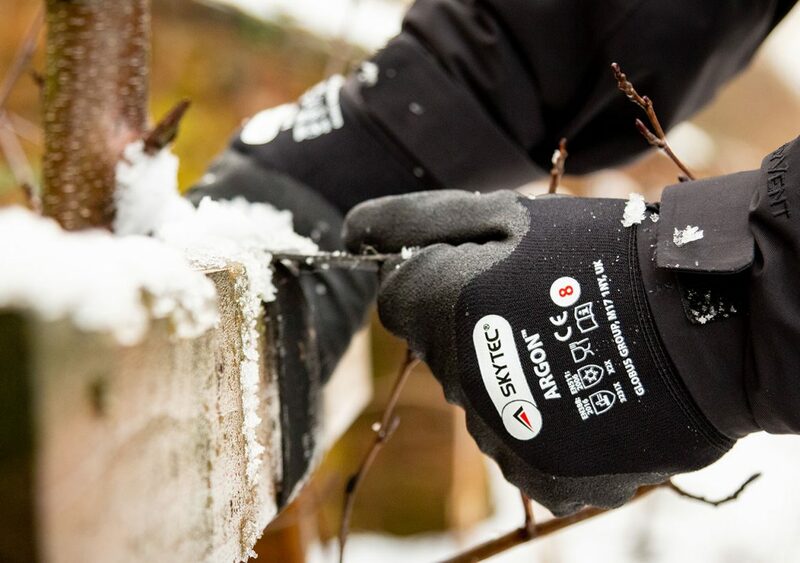 As Skytec’s gloves are robust, you can rummage in the soil and make small planting holes without risk. But it’s always best to ensure you are up to date with your jabs—better to be safe than sorry. 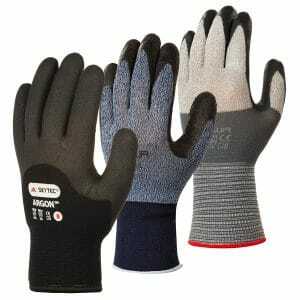 Gloves will also protect your hands from irritation when using some fertilisers. Used mainly at the start of the season to build up soil fertility, they help to build up a strong, healthy root system. For this, blood, fish and bone varieties provide a natural source of all three of the major plant nutrients, nitrogen, phosphorus and potash so they’re the perfect choice for organic gardeners. Plus, when you’re giving soil some much-needed TLC, you’ll be glad you’ve got your gardening gloves at the ready!